During Advent, we await together the coming of the Lord Jesus. 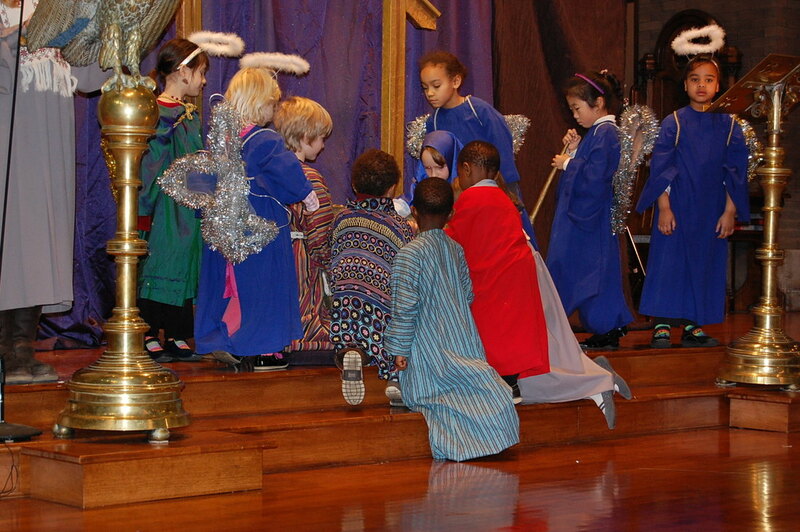 There is special music during worship, families participate in the lighting of the Advent Candles, and the children present a Christmas Pageant. The season is especially meaningful to the community at Jackson Park Hospital. Our Gilead Ministry organizes Christmas Caroling at the hospital and a Christmas Eve cookie delivery for hospital staff working Christmas night. There is an evening service on Christmas Eve. During Lent, we focus the music, prayers, preaching, and adult education on themes appropriate to this season of repentance, reconciliation, and renewal. We celebrate with the children Jesus’ triumphal entry into Jerusalem on Palm Sunday, and leading up to Good Friday and Easter, there are special opportunities for worship, reflection, and fellowship that include activities for children and families. On Maundy Thursday of Holy Week, we share an Agape meal or love feast together with communion to commemorate Jesus’ Last Supper with his disciples. On Good Friday, there is an evening service of worship, prayer, and reflection. On Easter Sunday, we celebrate with early “sunrise” worship and communion, an Easter Breakfast with activities for children, and a rousing four-part congregational singing of Handel’s “Hallelujah Chorus” at the conclusion of our regular Worship service. Please check the Church Calendar for exact times.